#Fitfam: Coverup for Eating Disorders? Before I had a blog I was a member of the Twitter #fitfam. The #fitfam on twitter and tumblr is where thousands of “anonymous” twitter users come together to bond over a love of fitness and strength. Or so they say. In the 72 hour period that I was a member of the #fitfam I witnessed multiple people talk about how their twitter account triggered past eating disorder behavior, while still having multiple exchanges with others about what breads were the lowest calorie and how many calories other girls ate, following it all up with “I feel bad for the girls who want to be skinny, I want to be strong #fitfam”. I would throw out questions asking girls for their fitness related goals, trying to shift the focus on what you could do with your “fit” body and not how being “fit” looked. While at the end of my 72 hr fitfam experience I had almost 250 followers, not one responded to any post on fitness goals or ability. After 3 days I deleted my account. It made me too sad to continue watching hundreds of girls, a lot of them in high school, picking apart every aspect of their body and truly believing looking a certain way would bring them happiness. I could relate and I feared if I hung out long enough I would begin to think the same way again. Feeling guilty for missing a workout is not healthy. Restricting and then binging is not healthy. Hating yourself based on what you consumed that day or because you don’t look as good as the unrealistic “fitspo” that you stare at is not healthy. This article came out last week describing exactly my experience. I hadn’t written about it before because I didn’t want to get personal or offend people. Of course there are people who follow the #fitfam groups to truly find motivation to accomplish goals other than becoming thin and hot. But as the ice was already broken I thought I’d put it out there for people who currently are an active part of the twitter/tumblr fitfam to stop and consider if you enjoy being fit because of what you can accomplish, or if you believe achieving that perfect fitspo body will truly make your life better. Almost all the girls AND guys I saw on twitter were consistently lonely, no matter how amazing their body was, and hoping that they would be happier and have more friends once they obtained that perfect body. Just like I mentioned in my previous post, image is not what makes you happy. You have to change your relationship with the world from the inside, changing what you value and what’s important. Once you do that, the image on the outside won’t matter as much. This entry was posted in Uncategorized and tagged clean eating, diet, eating disorder, ED, fitfam by fionaboger. Bookmark the permalink. Girlfriend I’m with ya on this. 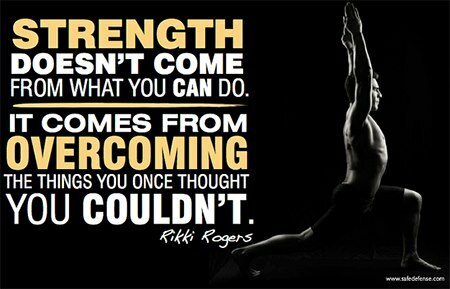 I am strong, I workout all the time and I fuel my body properly most of the time. I am NOT skinny. I was actually just talking to my bestie about this the other day on our jog – I told her it was offensive to me that people were calling me skinny because I”m definitely not ‘skinny’. I am in shape for my body and frame and damn it, I LOVE it! I’m glad you deleted your account, sometimes people get super confused about what it means to be FIT. Totally! I’m naturally skinny and actually added like 15 lbs and went up a pants size when I started working out and I actually love it! 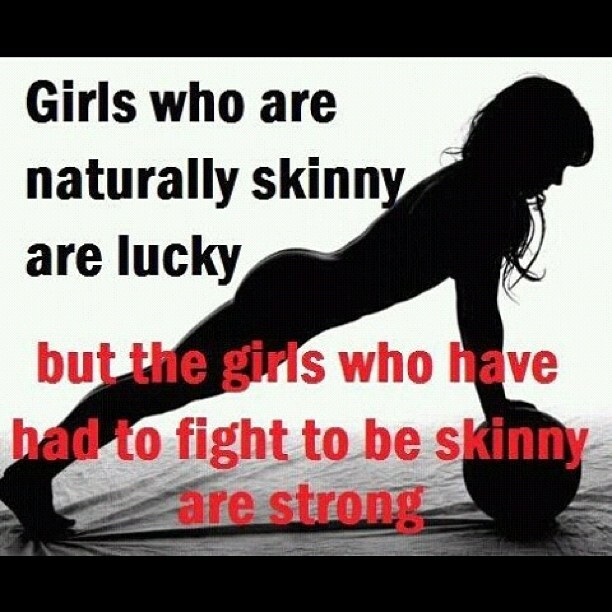 So I get offended too when people tell me I’m skinny, I’m always like No I am strong! I worked HARD to put on this muscle! This is a very sad post, and it is unfortunate that so many young girls feel this way about themselves. I eat healthy and exercise a lot, and I can relate to wanting that “perfect” body, and I feel bad for myself and others who are disappointed in the fact that they can’t obtain something that is nearly impossible. It is sad! One reason I deleted my account is because I have worked very hard to not have the mentality of calorie counting/idealizing super skinny people and I was scared if I stayed I would be sucked back into it. It’s a very depressing and sad place to be and I hope that you and those in the “fitfam” can realize how amazing your bodies are to treat them with love, not to hate them for not looking like an unattainable ideal. Couldn’t agree with you more!!!! I too joined the #fitfam last year with the hope of finding helpful information and motivation/inspiration. There was a certain amount of that available but the whole thing just made me so sad to read on a daily basis. I’m a full time working 33 yr old who tries to keep fit and strong to improve my lifestyle and refuses to live my life by calorie contents. I’m not interested in the ‘quick fix’, I just want to feel comfortable in my jeans and and know I’m healthy… Something the majority of the fitfam claim but don’t really mean. As someone who has lived with a partner with an eating disorder, I had to just stop interacting. It’s just all so sad and mentally unhealthy and anyone who calls this craze out will have my support. It’s great to eat healthy and workout regularly but we can’t forget to live and enjoy our lives too! !